One of the premier travel services our Abu Dhabi travel company pays particular attention to is transportation. While we arrange some fantasticDubai City Tours, we also take care of your entry into Dubai from foreign shores. One World can help you out with travel insurance- many of which are getting better and simpler for the traveler. Thanks to tie-ups with renowned airlines, One World can also offer you the most affordable options when it comes to traveling to Dubai. You can get in touch with us for help with your visa. If you are a tourist, One World can sponsor your tourist visa which is good for a 30-day stay in Dubai. For many tourists visiting Dubai for the first time, traveling around can be tiresome- especially if they are visiting during the hot months. Dubai maybe the only cities to offer air conditioned bus shelters, but the fact remains that local transportation options like buses and taxis are uncomfortable. For a sightseer intent on experiencing the city on his own time it can be downright inconvenient. As a solution to this problem, One World provides an excellent network for Dubai car rental. Pre-booking the vehicle of your choice on the rental package convenient for your stay is recommended. In case you are visiting for a MICE in Dubai or simply looking to accomplish some sightseeing in Dubai, there is a vast fleet and variety of comfortable vehicles that we keep ready for your use. Get in touch with us to make your Dubai Tour Packages more interesting and convenient. 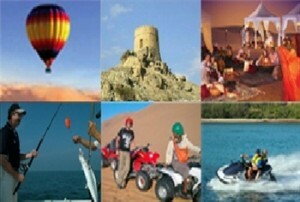 This entry was posted in CAR RENTAL, DUBAI TOURS, MICE OPTIONS, ONE WORLD, TRANSPORTATION, TRAVEL by . Bookmark the permalink.